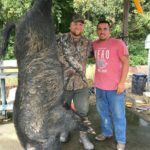 410-pound boar killed in Edgecombe County, N.C.
Nathan Coffey of Lynchburg, Va. killed this big boar at Cottonwood Plantation in Edgecombe County, N.C.
Cottonwood Plantation in Edgecombe County is a great place to kill big boars like this 410-pounder killed by Nathan Coffey of Lynchburg, Va.
Nathan Coffey of Lynchburg, Va. has been hunting at Cottonwood Plantation of North Carolina in Edgecombe County for several years, and on Oct. 4th, he killed a trophy boar that weighed over 410 pounds. 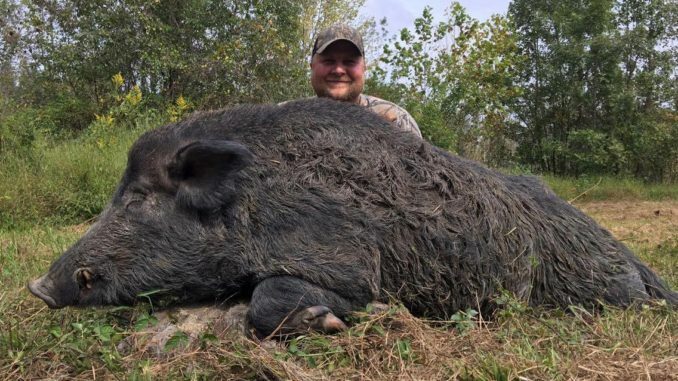 Coffey said it was one of the more exciting hunts he’s ever been on, and the hog he killed is one they’d tracked on trail cameras last year, though they’d seen no sign of the big hog this hunting season. “I’ve been hunting with my good friend Shepard Inscoe, the owner of Cottonwood Plantation of North Carolina for the past 4 years. We had trail camera photos of this boar last year, but no pictures of him this year. On the morning of Oct. 4, I decided to hunt a particular stand because it has great deer and wild boar opportunities, and the wind direction was perfect for this stand,” said Coffey. 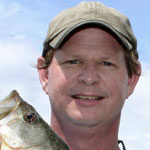 Around 7:15 a.m., Coffey could hear a group of wild hogs moving up from the swamp toward his stand. He watched as about 20 hogs came out of the timber and began feeding about 90 yards away from him. 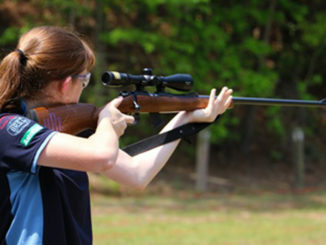 With his binoculars, he began glassing the group of hogs, trying to find a shooter in the bunch. 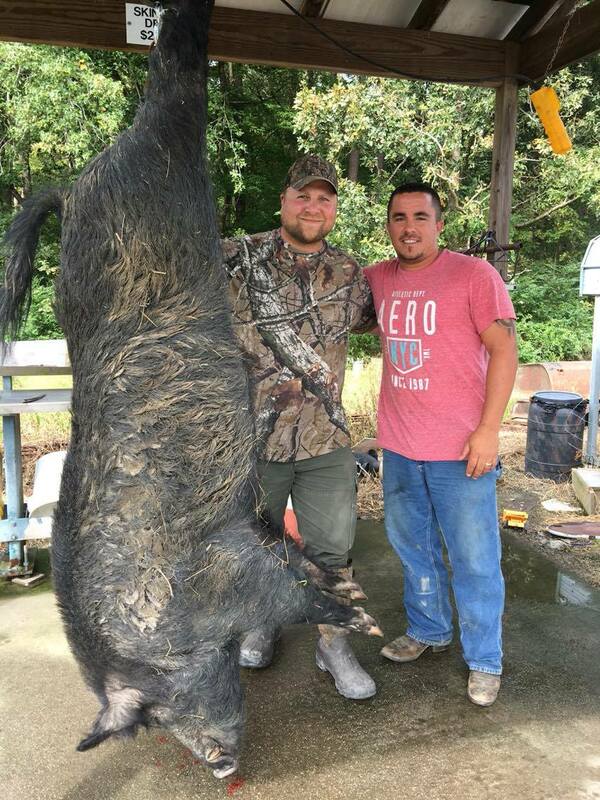 “About 12 of these hogs were young. The rest were larger, and I began hearing something else coming toward these hogs. It was making a lot of noise, so I waited and watched. About a minute later, the huge wild boar stepped out of the bushes behind the others at 100 yards away from me,” he said. Though definitely within range of Coffey’s Thompson Center .50 caliber muzzleloader, the big boar was just inside a stand of bushes, preventing a clear shot. Then, the beast laid down in the bushes and watched the other group of hogs. Coffey was back to waiting and watching, hoping this hog would step into the clearing. He watched for 20 minutes, when a fight between two of the smaller pigs began fighting. 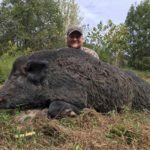 “Two smaller male boars began chasing a sow that I guess was in heat. Then the two males began fighting each other. Well, the huge boar couldn’t take that, so he stood up and came racing out of the bushes to get involved in the battle!” said Coffey. Knowing they couldn’t contend with the big boar, the two smaller hogs scattered, leaving the big boar standing and bristled up. 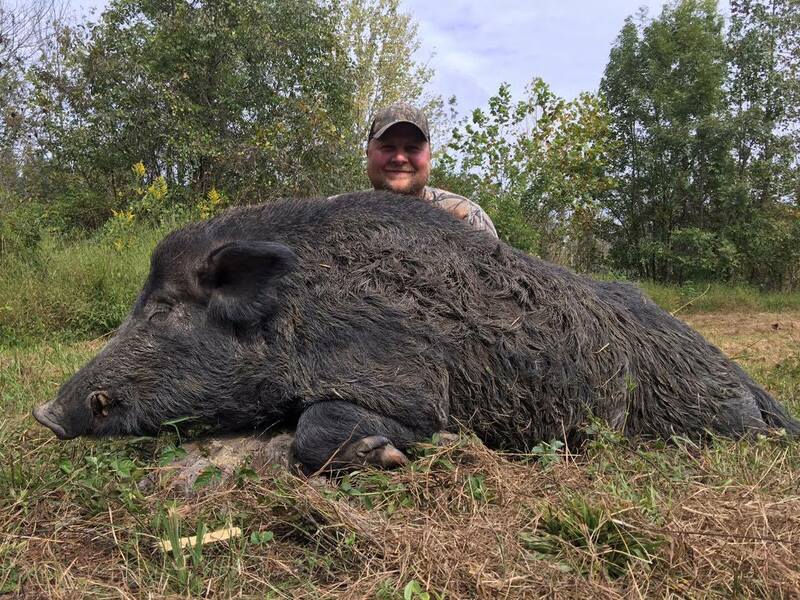 A moment later, the hog turned, offering Coffey an 80 yard broadside shot which Coffey took, sending his 275-grain Parker Productions sabot into the crease of the boar’s shoulder through the animal’s heart and lungs. 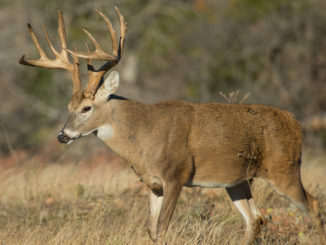 He then watched the hog dart about 70 yards away before falling over dead. 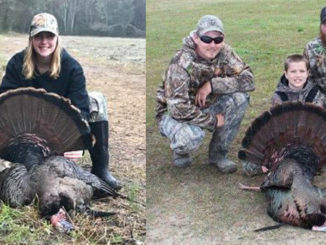 “This was a hunt that I will never forget,” said Coffey.